The C 27 J is a joint-venture of Alenia and Lockheed Martin based on the FIAT G222 transport, but with engines and avionics redesigned and made common with the Lockheed C-130J Hercules. The maiden flight of the prototype (I-CERX) took place from Turin, Italy, on September 25, 1999, and lasted 1 hr 32 min. The MC-27J is a multimission transport aircraft jointly produced and marketed by Alenia Aermacchi and ATK. 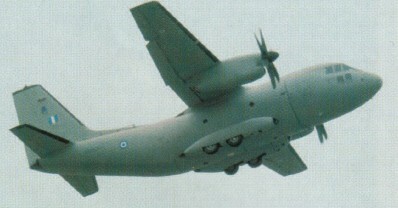 It is an armed, roll on/roll off (RO/RO) aircraft based on the C-27J Spartan. 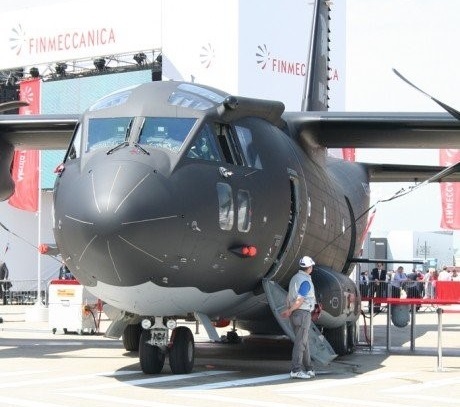 Alenia unveiled a new version of the C-27J Spartan battlefield air-lifter, the MC-27J, at the Farnborough International Air Show in July 2012. The C-27J base platform is slightly modified, while the airlift capabilities of C-27J are retained. The new aircraft is incorporated with pallet-based systems for additional mission-specific capabilities. The MC-27J can be configured to conduct troop / cargo transport, paratroops / material air-drop, medical evacuation (MEDVAC) and VIP / passenger transport. The gun barrel on the aircraft can be removed to allow reconfigurations for other missions. The aircraft also integrates a fire protection system and an ice protection system. The two-pilot glass cockpit of the MC-27J is equipped with off-the-shelf avionics and is fully compatible with night vision imaging systems. The avionics suite integrates colour multipurpose displays, multifunction control and display units, optional head-up display units, digital auto-pilot, GPS/INS, identification friend or foe (IFF) transponder, recording systems, terrain awareness warning system (TAWS) and traffic alert and collision avoidance system (TCAS). The onboard PaWS (palletized weapon system) provides combat capabilities for the MC-27J aircraft. The PaWS is specifically designed for the ATK GAU-23 30mm cannon and other precision guided light munitions. The system minimises collateral damages. The palletised system can be loaded / unloaded through the rear ramp of aircraft. It can be installed in the aircraft within four hours. The GAU-23 Bushmaster 30mm cannon mounted on the PaWS RO/RO pallet is a chain gun that incorporates features of the M242 and Mk44 25mm cannons. The gun can fire 30mm x 173mm, PGU-13, PGU-15, and PGU-46 ammunition at a rate of 200 rounds a minute. The ammunition is fed into the gun through a dual feed system. The palletised system also accommodates a reconfigurable mission suite incorporating sensors, communications and mission management system. The aircraft is equipped with electro-optical / infrared targeting sensors, and command, control and communications equipment. The MC-27J serves as an independent command and control centre interfaced with the ground command network. The aircraft is also equipped to provide signal intelligence (SIGINT) intelligence surveillance and reconnaissance (ISR) capabilities. The target identification systems and weapons systems aboard the aircraft support ground missions. The MC-27J is powered by two Rolls-Royce AE2100D2A turboprop engines. Each engine, generating 4,637shp power, drives two Dowty six-blade, all-composite propellers. Two full authority digital electronic control units control the engines and propellers. The onboard electricity is supplied by three generators. The auxiliary power unit (APU) allows the engines to be restarted in flight during emergency conditions. The fuel system includes four wing tanks and two dedicated fuel feed systems. The aircraft can be optionally fitted with an air-to-air refuelling probe for performing aerial refuelling.